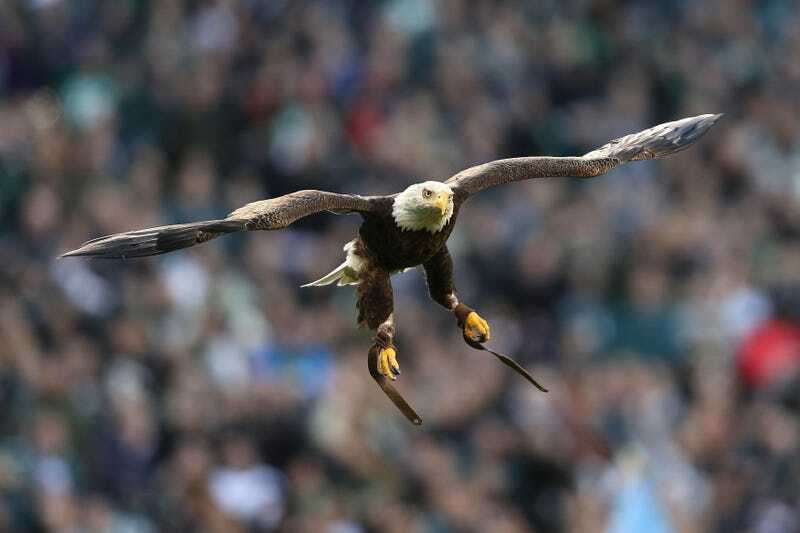 Although the eagle apparently made the rounds throughout the entirety of JerryWorld, landing on multiple fans, its final flight took it directly to the arm of a bewildered Notre Dame fan, from where it was wrangled and returned, presumably, to the prison where it spends the other 364 days of the year. Notre Dame fans immediately began calling the eagle’s eventual resting spot a good omen for their team’s chances in the game, and who can blame them? Since Notre Dame entered the game as big, 12-point underdogs—despite their No. 3 ranking and undefeated 12-0 record—it looks like the Irish faithful will need all the good luck they can get to see their team advance to the College Football Playoff National Championship, where they will likely get stomped by Alabama once again.